In many countries auctions are the main way of buying property. In the UK, however, despite the TV show Homes Under the Hammer being a mainstay of daytime TV, it is still relatively rare. 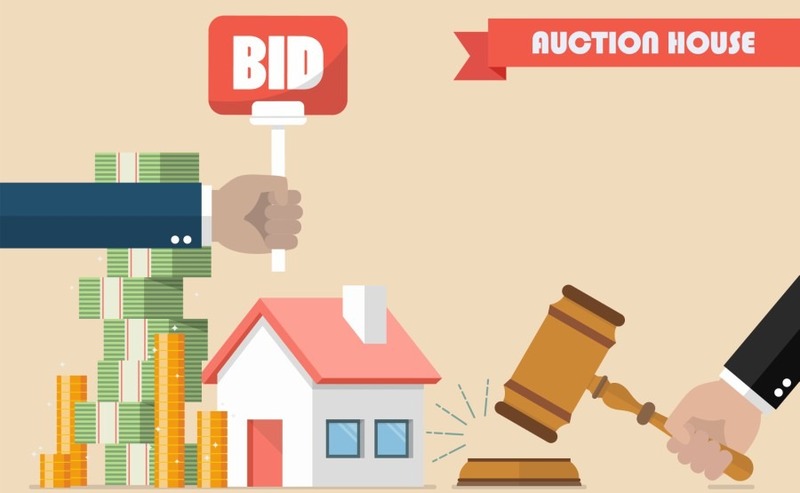 For buyers from overseas, property auctions can make particular sense. When you bid at an auction you are bidding to buy, not just to make an offer. Contracts are effectively exchanged when the gavel falls so you must be totally happy with the property and ready to pay the deposit on the auction day and the balance on completion within two or four weeks. Such a fast and simple system will appeal to many overseas buyers who do not need a mortgage. It is common to make credit checks on bidders, and if you are based overseas, auctioneers are likely to make additional checks on you. Buyers will find a huge variety of properties to choose from once they start leafing through the auction catalogues. Few residential homeowners will sell at auction unless they are highly motivated to sell and receive their money quickly. Properties will typically be sold due to bankruptcy or to avoid repossession when people fall on hard times. 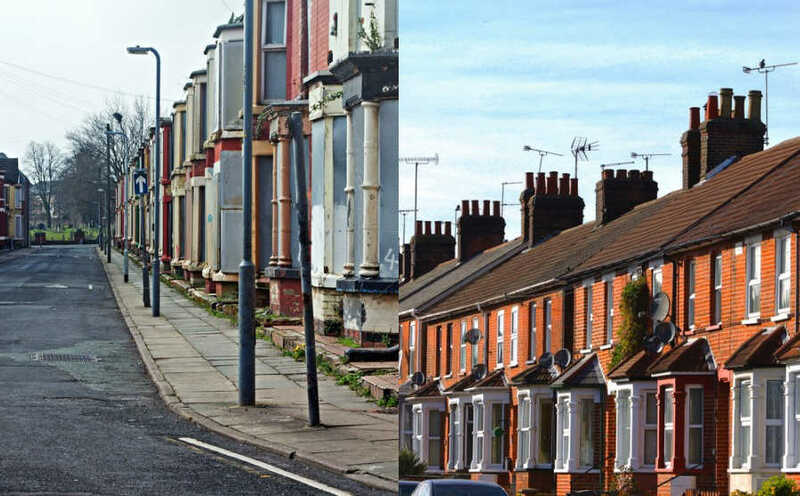 Leasehold flats where the lease has fallen to under 65 years often come to auction because the leaseholder cannot afford the tens of thousands it cost to extend a lease and buyers cannot get a mortgage on them. If you are buying a leasehold property with a short lease you do have to be extremely careful, however. Eventually they will be worthless to you. They appeal, therefore, to investment buyers looking for a bargain, who don’t need to wait for mortgage approval and have the money to extend the lease then sell on. Not all sellers are desperate however, and neither are all auction properties in need of renovation. For people who want speed and finality – after a divorce, for example, or an inheritance being divided many different ways – sellers can get their money in weeks rather than trying to sell a house for six months. Selling fees will be in the hundreds of pounds, compared to thousands with an agent. Buying at auction and doing property up has become a popular option among Britain’s early retired, but it can make sense for non-English speakers too. Property, like food, is an international language that everyone understands. For new arrivals in the UK from abroad, whose English may not be good enough to get work in their usual profession, doing up a property and selling it on represents a great opportunity to get on in the world. Buying at auction means you avoid negotiating with sellers, but how do you ascertain the true market value when you’re based overseas? Read our guide: How to Negotiate Abroad, for advice on calculating when to bid and when to let it go! The best auctioneers will be highly proactive in helping buyers. They know that many will be nervous first-timers and will guide you through the process. They can help match buyers and sellers before they even get to the auction and can help with finance if required too. Many buyers will be long-distance, including from abroad, and at any auction you will see the ranks of assistants taking telephone bids. 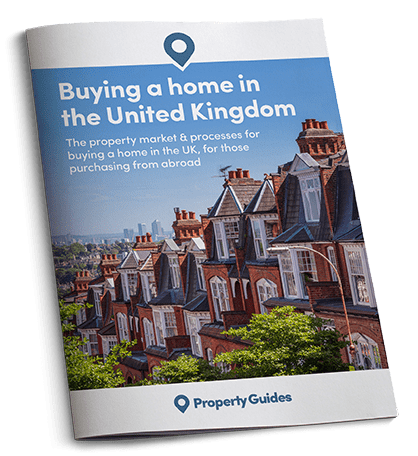 Buying in Scotland, for example, sellers have to produce a home information pack including a survey, which has been attracting small-scale English investors priced out of their local property investment market – why not overseas buyers too? You can see the property before the auction day, usually with around three different viewing opportunities where you can send a surveyor or builder in your place. You should also download and get your lawyers to check the legal documents that will be available online. You can buy commercial property at auctions too. Anything from Scottish castles to car-parking spaces and public toilets available for conversion (recently offered, one with planning permission already granted for £25-30,000 and another without planning permission yet with a guide price of £12,000). Buyers will find a huge variety of properties to choose from once they start leafing through the auction catalogues. A common misunderstanding, the guide price is not an estimate of what the property will sell for – or an assessment of its real worth. It is the auctioneer’s estimate of where the reserve will be set. The reserve price is the lowest price the seller will accept, and could in fact be above or below this. So if the property starts going over the guide price, don’t assume you are paying over the odds. Neither should you assume that just because you buy it below guide price that you have a bargain. Most crucially of all, you need to be able to pay the deposit on the day of the auction and the full funds within the 28 day – or shorter – time period. You should, therefore speak to your currency specialist and the auctioneer. You will need to be able to pay the deposit in pounds, while avoiding the risk that currency movements raise the price in the intervening time before paying the 90% balance. A spot contract or a forward that sets the exchange rate at the time may be appropriate.